Brabus T65 RS Sl65 Black Series 1 of 1. 800 horsepower, 811 pound feet of torque, stealthy Brabus styling. Absolute perfection. 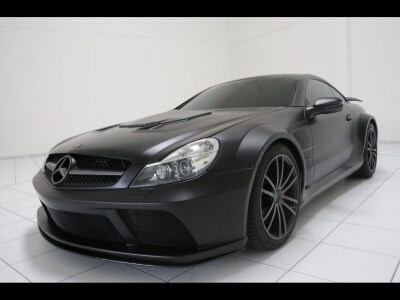 Brabus T65 RS SL65 Black Series 800hp 811tq! Is it possible to make the most powerful production Mercedes of all time, the SL 65 AMG Black Series, even more powerful, faster, more spectacular and exclusive? 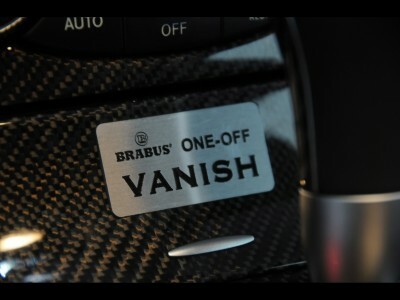 BRABUS can! Equipped with T65 RS tuning the high-performance model delivers even more power and becomes even more elite. T65 RS tuning bumps power output to 800 hp (788 bhp) / 588 kW. With it the two-seater accelerates from rest to 200 km/h (124 mph) in just 9.8 seconds and reaches a top speed of more than 330 km/h (206 mph). In the upholstery shop at BRABUS (www.brabus.com) the interior can be clad in a sporty yet elegant combination of the finest leather and Alcantara, giving it an even more striking ambiance. Further BRABUS options are special paintjobs such as the matte black shown here or the customization to customers‘ individual specifications that’ll make it a true BRABUS one-off with custom-designed personalized logos on the illuminated scuff plates and the speedometer. BRABUS T65 RS tuning unleashes the inherent power reserves of the Black Series engine. It includes the BRABUS high-tech twin turbo system that includes two special exhaust manifolds with integrated turbine housings and high-performance turbochargers. Four generously dimensioned intercoolers are placed beneath the space created by the BRABUS carbon-fiber hood scoop. The special BRABUS stainless-steel high-performance exhaust system with free-flow metal catalysts was specifically designed for the Black Series power upgrade. Newly programmed engine electronics with special mapping for injection and ignition coordinate the perfect interaction of all high-performance components and at the same time ensure that the engine meets strict EURO IV emission limits. The high-tech lubricants for the entire powertrain are supplied by technology partner ARAL. The T65 RS engine delivers 800 hp (788 bhp) / 588 kW at 5,500 rpm and an even more impressive peak torque of 1,420 Nm (1,047 lb-ft), available already at a low 2,100 rpm. Peak torque is limited electronically to 1,100 Nm (811 lb-ft). Powered by this engine, the Black Series coupe delivers truly superlative performance: From rest the sports car, weighing in at a mere 1,795 kilograms (3,957 lbs.) sprints to 100 km/h (62 mph) in just 3.6 seconds, and reaches 200 km/h (124 mph) after just 9.8 seconds. The car could reach a top speed of more than 330 km/h (206 mph) but for tire safety reasons top speed is limited electronically to 320 km/h (200 mph). The BRABUS upholstery shop creates a special sporty and luxurious interior to customers’ exact specifications, down to the last detail. The power comfort seats offer excellent lateral support without constricting the occupants. In this true BRABUS one-off car, made to the specifications of a longtime customer, they are upholstered in an exclusive combination of especially soft and breathable black leather and Alcantara. The same materials are found on door panels, headliner and dashboard. Precision-sewn red seams add striking highlights to all interior elements. Stainless-steel scuff plates with illuminated logo and the speedometer that sports the car’s name were also custom-made for this car’s owner. All components are available for any Mercedes SL 65 AMG Black Series.